HELENA, Mont. 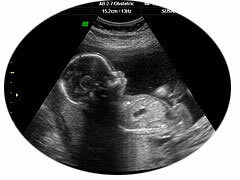 — The Montana House of Representatives has voted in favor of a pro-life bill recognizing the unborn as persons, thus advancing the measure to the Senate for approval. If HB 425 passes in the Senate, it would allow for a referendum to be placed before voters on whether the state constitution should allow for the unborn to be granted personhood rights from the time of their conception. But some have expressed opposition to the effort, stating that mothers would consequently have no say in whether or not to abort their unborn babies and may seek illegal means to end the child’s life. “Literally a cell becomes an American citizen,” Rep. Virginia Court (D-Billings) remarked to the outlet. “Now is the time for legislators to be focused on increasing jobs and access to healthcare, not amending our Constitution in a way that would put government in the doctor’s office and put the lives of women at risk while undermining their ability to make private medical decisions,” the Montana Reproductive Rights Coalition also asserted in a document presented to lawmakers. But following a second reading on Friday, HB 425 passed 54-46 in the House. A two thirds majority in the legislature is all that is needed to place the proposal on the 2016 ballot. The Montana Pro-Life Coalition says that it is supportive of the measure. “We will continue to stand and bear witness for the millions of souls who have no voice,” Monforton said. According to the Guttmacher Institute, in 2011, the latest figures on file, “2,220 women obtained abortions in Montana, producing a rate of 12.3 abortions per 1,000 women of reproductive age.” There were 1.1 million abortions nationwide that year. There are five abortion facilities in Montana.